The Robert Goldwater Library will be closed to the public the week of December 24th. Those with questions about the library or its collection can still contact us by email or by telephone. The library will reopen to the public on Wednesday, January 2, 2008. 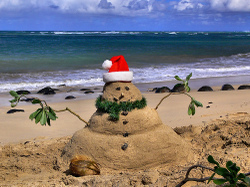 The library will remain accessible to museum staff during that week -- except for December 25th, of course. Best to give us a call beforehand to make sure the library is adequately staffed. Aluka now has a presence on both Flickr and Facebook! Aluka has uploaded images to Flickr from both the African Plants, Cultural Heritage and Struggles for Freedom in Southern Africa content areas. From African Plants, we have a collection of specimens, drawings, and photographs that will be sure to entice any botanist or lover of plants. For Cultural Heritage, we have amazing images taken by Dr. Heinz Ruther from such World Heritage Sites as Lalibela, Kilwa Kisiwani, Elmina Castle, Great Zimbabwe, and Timbuktu. 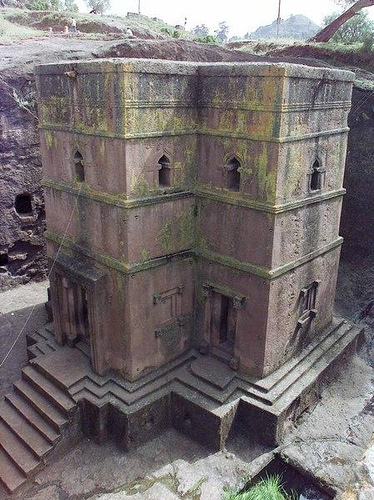 The image included in this post is Bet Giorgis at Lalibela. For Struggles for Freedom in Southern Africa, we have covers from some important texts from and about the countries in the region, including Angola, Botswana, Namibia, and South Africa. Come and take a look; feel free to add us as a Contact as well so we can build a network! To view Aluka’s Flickr slideshow, simply go to http://flickr.com/photos/15721258@N06/. On Facebook (www.facebook.com), we have created a group called Aluka (catchy, isn't it?). To join our group, search in Facebook for Aluka and click Join Group. We have information about Aluka, contact information, and some representative images from the digital library. Please come and join, ask a few questions, maybe even make some comments; it goes a long way towards developing the Aluka community! Nancy Lynn Sullivan, independent researcher, received a Guggenheim fellowship for her project: The cave arts of the upper Karawari in Papua New Guinea. The cave arts project is a research endeavor and an exploration through the foothills of the Karawari River region of the Sepik River in Papua New Guinea, where the Inyai, Ewa and Yimas people lived until recently, and continue to hunt and gather. The mortuary carvings from these caves have long been part of the blue chip Oceania art market, and some efforts have been made to establish the caves as national cultural property. But at present, these are some of the most remote people of PNG, lacking access to services. Meanwhile, their northern neighbors from Enga province have begun to encroach on the traditional land, panning for gold and inviting Asian logging agents to set up camp. Sullivan's work involved recording the migtration and origin stories of the Yimas and their neighbors, with local PNG ethnographers, as well as the exploration and recording of the caves for possible national cultural property designation. Sullivan will be working with archaeologists, ethobotanists and biologists to create a comprehensive history of the region for publication. The Grant Recipients column in Anthropology News is directed by Jona Pounds. Tribus: Jahrbuch des Linden-Museums, Band 56 (2007), pp. 71-106. 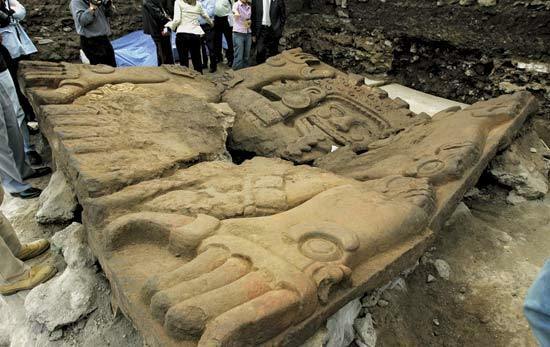 "The tocapu symbol system of Wari and Inca cultures belongs to the most impressive aspects of material culture of prehispanic South America. Although progress has been done in the past years the meaning and function of the tocapus remains unclear. This chapter presents new results about tocapus by analyzing a fragment of an Inca key checkerboard pattern tunic of the Linden Museum Stuttgart (Linden-Museum Stuttgart, Germany, 1167.771) which up to now has never been discussed in former publications ... It is a Quompi weaving. 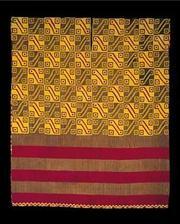 An object collected from what is now Mali has blood in its coating. Certain ceremonial objects from the Dogon and other cultures of West Africa are known for their dark patina. 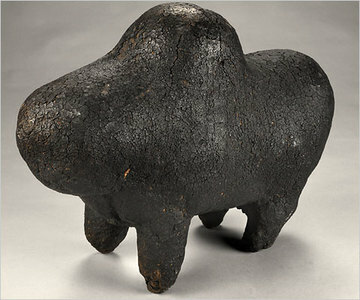 There is plenty of ethnological evidence that the thick coating on these wood sculptures, which are often in human or animal shapes, contains blood from animals sacrificed as part of the ceremonies. But the presence of blood had not been proved through chemical analysis. Now Vincent Mazel and Pascale Richardin of the Center for Research and Restoration of the Museums of France and colleagues have done just that, finding blood on seven of eight Dogon and Bambara objects from Mali, all dating from the late 19th or early 20th centuries, except for one that is at least 500 years older. Their findings are published in the journal Analytical Chemistry. The researchers used several precision analytical techniques, including time-of-flight secondary ion mass spectrometry. That method separates ions by giving them all the same kinetic energy, so that their velocity, and thus their time to a detector, varies according to their mass. Using tiny amounts of the patina from the objects, all of which are from the Musée du quai Branly in Paris, the researchers first demonstrated that they contained proteins. A major component of blood, after all, is the protein hemoglobin. Then they showed that some samples contained heme, the iron-containing molecule that is bound to hemoglobin. In a few samples, heme was not present, although iron was. So the researchers used X-ray scanning techniques to show that in all but one of these samples, the iron was associated with the proteins, indicating simply that the heme had degraded over time.